Minister for Children Katherine Zappone reviewing plans for the new state-of the-art Paediatric Outpatients and Urgent Care Centre which will open at Tallaght Hospital from 2018. Minister Zappone was visiting the planning office for Tallaght which will operate in conjunction with the new National Children’s Hospital. 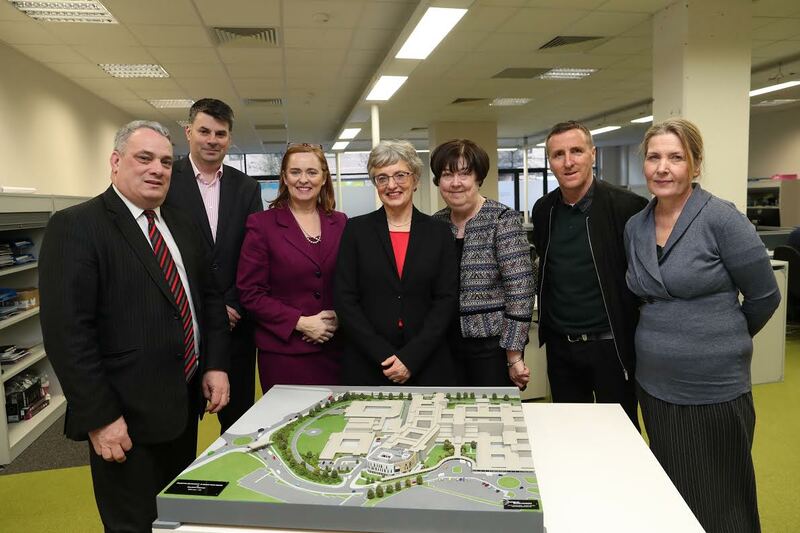 Pictured from left to right are: Joe Donohoe, Fatima Groups United, Aengus Ó Snodaigh TD, Minister Katherine Zappone, Eilísh Hardiman, Chief Executive, Children’s Hospital Group, Phelim Devine, Design Director and Deputy Project Director, NPHDB.